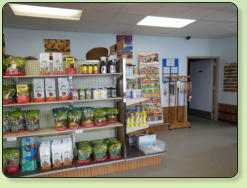 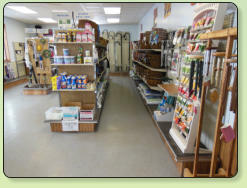 Our store offers: garden seeds, onion sets, seed potatoes, fertilizers, soil amendments, soil testing kits, trellises, shepherds hooks, bird baths, bird food and feeders, pots and planters, wind chimes, weed fabric, insecticides, herbicides, as well as other gardening and landscaping supplies. 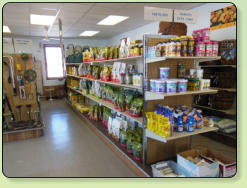 You can also purchase bagged dirt, potting soil, peat moss, and mulch. 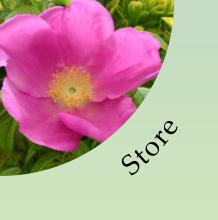 We also offer decorative washed rock and screened top soil in bulk.